We’re all scared of something, right? The truth is, fear can hold us back in life—keeping us stuck, preventing us from stepping outside of our comfort zone and trying new things, and holding us back from pursuing our biggest goals and dreams. But did you know that not all fear is created equal? Don't miss this post, where we explore the seven very unique and distinct ways that fear manifests itself in our lives and holds us back—something we call the seven Fear Archetypes™. Learn how to name your fear and then conquer it once and for all! The post How to Identify the Fear That is Keeping You Stuck (So That You Can Finally Break Free) appeared first on Living Well Spending Less®. 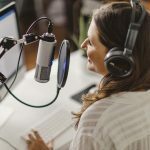 Looking for some motivational and encouraging podcasts to inpire you and keep you fired up? We polled our audience to find out what their favorite Do It Scared Podcast episodes were, and why. The feedback was nothing short of astounding! Don't miss our listeners' Top 10 favorite episodes. Which one is your favorite? The post Top 10 Favorite Do It Scared® Episodes, selected by you! appeared first on Living Well Spending Less®. The post How to Become the Most Confident Person You Know appeared first on Living Well Spending Less®. Ever feel like your mess has gotten to the point of no return? It might be time to get some help with all that decluttering! Don't miss these three surprising lessons from hiring a professional organizer. 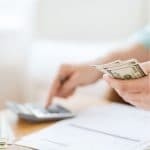 The post 3 Surprising Things I Learned From Hiring a Professional Organizer appeared first on Living Well Spending Less®. Ever feel like laundry is taking over your life? While there is no magic wand that can make the mountain disappear, there are a few tricks that can help lighten the load! 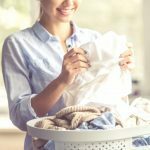 Don't miss these 10 smart ways to tame that laundry pile and take back your sanity! The post 10 Smart Ways to Finally Tame Your Laundry Pile (Once and for All!) appeared first on Living Well Spending Less®. Looking for a keto-friendly recipe, but sick of the same old bunless burgers and breakfast for dinner options? 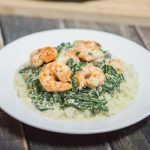 This simple pan-seared shrimp with cheesy spinach and cauliflower rice recipe is high fat, low carb, and 100% delicious! The post Pan Seared Shrimp with Cheesy Spinach and Cauliflower Rice appeared first on Living Well Spending Less®. Owning your own business isn't for the faint of heart. You'll be challenged more than ever before ... but there are also great rewards. Here are 8 things to know to see if you're ready to take the plunge. The post Are You Ready To Be Your Own Boss? 8 Truths About Running Your Own Business appeared first on Living Well Spending Less®. Do your financial goals feel too far away? They're not impossible! These 8 tips helped us get out of debt and gain financial freedom for good. 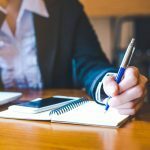 Ready to Start Blogging? Join Me for a Free 5-Day Build Your Blog Bootcamp! Have you ever thought about starting a blog? 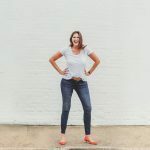 I don't normally talk about the business side of blogging here at LWSL, but it is definitely something I get asked about all the time! (And for the record, I LOVE talking about it!) 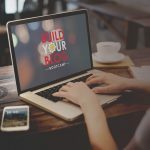 If you are curious about how to get started, I would like to invite you to join me for a FREE 5-Day Build Your Blog Bootcamp that will help you take the very hardest step--just getting started! Get all the details in today's post! The post Ready to Start Blogging? Join Me for a Free 5-Day Build Your Blog Bootcamp! appeared first on Living Well Spending Less®. Between the list of hurried morning to-dos and the daily commute, are you stressed out before you even get to the office? For working moms, the struggle is REAL! But we’ve all got to pay our bills, right? But...what if there were another option? What if you could leave the 9 to 5 behind, become your own boss, and start your own business? If you've ever dreamed that it might be possible, don't miss these 6 steps for turning your passion into profit! The post How to leave the 9-5 Behind appeared first on Living Well Spending Less®.